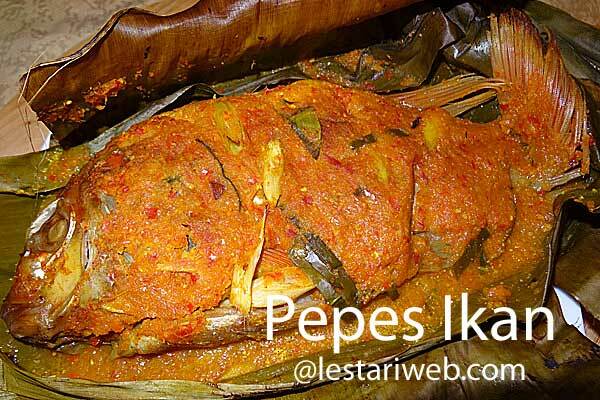 Note : Use the fresh fish to get the best result. When it is not obtainable you can also take frozen fish but make sure the fish is defrosted properly. 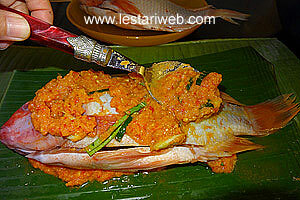 Take aluminium foil to wrap the fish, if banana leaf is not available. 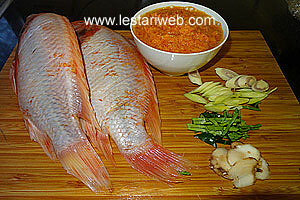 If preferred use fish fillets instead a whole fish, especially for you who don't like struggling with fish bones ;-). 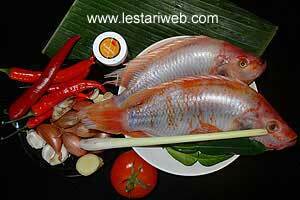 1Clean the fish mix with salt and lime juice. Keep aside for 15 minutes. 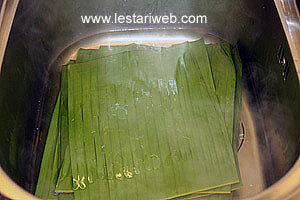 Rinse under cold water and pat dry with kitchen paper. Keep aside. 2Blend all ingredients for the paste in a blender or food processor until smooth. 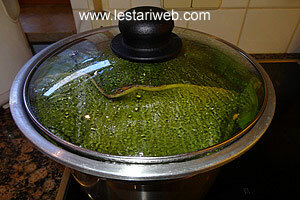 Add lemon grass, kaffir-lime or lemon basil leaves and galangale. Stir to mix. 3Adjust the seasoning, add salt or sugar if necessary. Divide the mixture into 2. 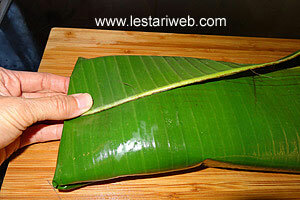 4If you use the fresh banan leaf, soak the banana leaf in hot water about 10 minutes until the leaves are getting soft and change color slightly to prevent tearing/leaking. Wipe it dry with a paper towel or a kitchen tissue to remove the dirt. 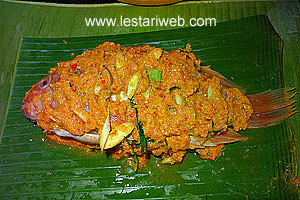 5Put about 2 tbsp spice paste on the midle of banana leaf, put the fish on it. 6aThen smear the paste on the other side of the fish includes the cavity. 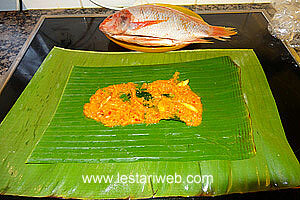 7aFold up the banana leaf to enclose the fish (see fotos), secure the parcel with toothpick or staples. 8Steam the parcel over a covered steamer until the fish is cooked (takes about 30 minutes). 9Grill on the charcoal or bake in the oven to 400°F (200° C). 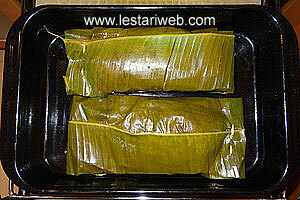 Bake the fish for about 20-25 minutes until the banana leaf turn to brown. 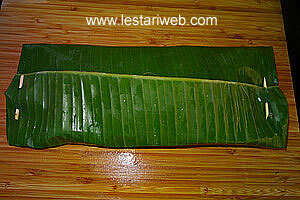 Serve hot in banana leaf.